Can you imagine Firefox without add-ons? Not that there’s anything necessarily wrong with a basic Firefox installation, but many would argue that the greatness of Firefox Browser Wars: Firefox vs. Chrome vs. Opera, The Definitive Benchmark Browser Wars: Firefox vs. Chrome vs. Opera, The Definitive Benchmark If you could only choose one browser, which one would it be? Which is best: Firefox, Chrome or Opera? We'll show you. Read More rests in its open nature and the vast availability of add-ons for extended functionality 13 Essential Firefox Addons To Begin 2015 Right 13 Essential Firefox Addons To Begin 2015 Right As always, the spotlight is on what developers did with the open-source browser's flexibility. The list of Firefox add-ons just got bigger and better over the past year. Read More . Seriously, even just a few of these recommended Firefox add-ons The Best Firefox Addons The Best Firefox Addons Firefox is famous for its extensions. But which addons are the most useful? Here are the ones we think are best, what they do, and where you can find them. 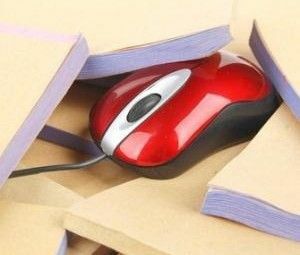 Read More can completely change your web browsing experience, not to mention that add-ons can also increase your privacy and security Completely Secure: 11 Must-Have Firefox Addons For Security Completely Secure: 11 Must-Have Firefox Addons For Security Think about the browser you're using to view this article right now. Is it safe? Is it secure? You'd be surprised by those answers. Read More on the Web. It’s worth your while to start using add-ons if you aren’t already. 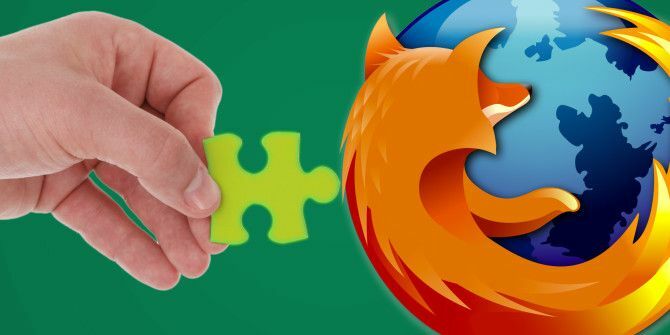 But while most of us just download the add-ons available on the Firefox site, there’s a whole world of lesser-known add-ons that you have to download elsewhere and install manually. Here’s how to do that. Instead of installing straight from the Firefox site, you can actually download add-ons as individual files. This is useful in case you want to save a particular version of an add-on or the site’s installation link just doesn’t work for some reason. First, go to the Add-ons repository and find the add-on you want to download. Next, find the big button labelled Add to Firefox. Right-click on it and select Save Link As…. When the prompt shows, feel free to rename it to whatever you want, but make sure to keep the .XPI file extension. That’s it! Download complete. Of course, as mentioned earlier, there are also Firefox add-ons that you can’t find on the official site and can only find on places like GitHub (which is a repository of open source projects What Is Open Source Software? [MakeUseOf Explains] What Is Open Source Software? [MakeUseOf Explains] "Open source" is a term that’s thrown around a lot these days. You may know that certain things are open source, like Linux and Android, but do you know what it entails? What is open... Read More ). First, find the add-on you want. If you have a direct link to a particular project, just move onto the next step. Otherwise, you can browse GitHub for “firefox addon” and you’ll find hundreds of them (sort by “Most Stars” to filter out the crummy ones). On the releases page, browse for the latest version. By default, release pages are sorted with the latest release at the top, so it should be the first one you see. Look for an .XPI file download. If you don’t see it, download the .ZIP file, which should contain the .XPI within. Done! No releases? If a project doesn’t have any releases, there’s a good chance the .XPI file is available somewhere in the project itself. Navigate the folders until you find it, then right-click on it, select Save Link As…, and name it whatever you want but keep the .XPI file extension. Done! Once you have an .XPI add-on file (if you don’t, refer to the above section), installing it on Firefox is somewhat intuitive and rather straightforward. First, open the Add-ons Manager. In the sidebar, navigate to the section called Get Add-ons. Along the top, look for the pulldown menu with a gear icon, click on it, and select the Install Add-on From File… option. When the prompt shows, navigate to the .XPI file you downloaded. You should get a popup asking if you want to install it, in which case you should click Install. And that’s the end of it! Alternatively, you can just drag-and-drop the .XPI file onto your Firefox window, which basically accomplishes the same thing. If you’re going to be regularly installing add-ons from GitHub, there’s a faster method that you can use — and it allows you to discard everything mentioned above. It’s incredibly simple and you’ll love it. Just go to the Firefox site and install the GitHub Extension Installer [No Longer Available] add-on. Once the add-on is installed, you can go to any GitHub-hosted add-on project and install it with one click using the new button that’s available. Done! The only downside is that this method only works if the project is organized correctly (meaning that it has an install.rdf file in the root directory). If the install file is missing, you’ll have to fall back on the manual method above. Which Add-ons Are Your Favorite? As you can see, the process of manually downloading and installing Firefox add-ons isn’t hard at all — and if you’re grabbing add-ons from GitHub, it’s easier than ever. If any of the instructions were unclear, please leave a comment and I’ll do my best to clarify. But now it’s your turn: which Firefox add-ons do you consider to be the most essential? Which ones can’t you live without? Tell us in the comments below! Explore more about: Browser Extensions, Mozilla Firefox. Right clicking doesn't always work, doesn't always give you a Save Link As... option, but has Save Page As... (yes, even clicking over the installation button) which saves the add-on's page there at addons.mozilla.org. Part of the problem is that Mozilla says it's not compatible with my version or platform, even tho I have it installed right now, even the version under Version History that is said to be compatible with my version! Lots of stuff up and disappearing from Mozilla/Firefox Add-Ons or as noted, saying it's incompatible even tho it was compatible last week. It's going really downhill, but I'll be damned if I'm going to sell my soul to Google, so I'm "backing up" everything I use. I Collect The Individual Files For All The Extensions I Use, Both For FF And The CHROME Family Of Browsers. Do You Have Some FF Extensions Already Installed ? Then Use The FEBE Extension. It Can Create The Individual .XPI Files For All The Extensions You Have Already Installed ( Including Itself ). I Wish There Was A Similar Extension For The CHROME Family Of Browsers. I have FEBE... *somewhere* with the add-ons I was using at the time. I added it after Disconnect/Mozilla removed Facebook Disconnect from Add-Ons. Fortunately, I was able to find a copy online; ran thru a lot of copies loaded with viruses from German sites (I scanned them before installing, natch). Chrome won't let something like FEBE on their junk; they're all about forcing you to use what they want, just like Apple, Facebook, Twitter, now Windows, too, George Lucas, etc. CHROME Has Lots Of Clones - I Am Using Old OPERA 36.0.2130.80. Most Extensions Are Compatible Among All The Clones. CHUCK BAKER, The FEBE Developer, Is Focusing His Attention On FF Clones, Like PALE MOON, Because FF Discontinued His Extension With Version 57.